I totally wanted to do a linky party with pictures of everyone’s Christmas decorations that are still up. We could show our wreaths and our garlands and our red bows and our random ornaments hung from chandeliers. But then I realized that I would be the only one there. And so much more organized than me. And you took down your wreaths in December…..and moved onto decorating for Spring…..because it’s umm…March. 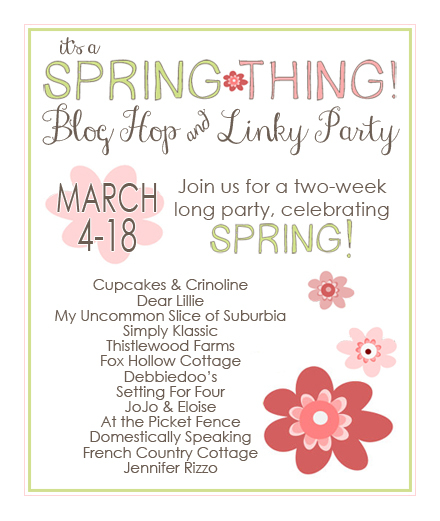 So let’s have a Spring Fling linky party instead! Let’s start with some fun projects my incredibly talented friends (people who would never have a Christmas wreath in sight) have been sharing over the last few weeks. Here’s a recap of all the ideas, recipes, crafts and home decor created just for Spring! 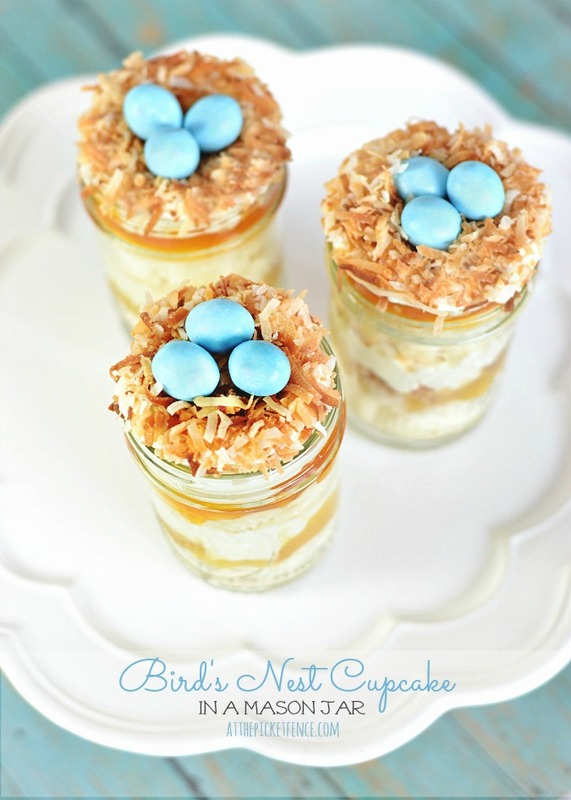 Heather’s Bird’s Nest Cupcakes in Mason Jars are absolutely amazing. Vanessa‘s daffodils can brighten both a table and a mantel made me smile. 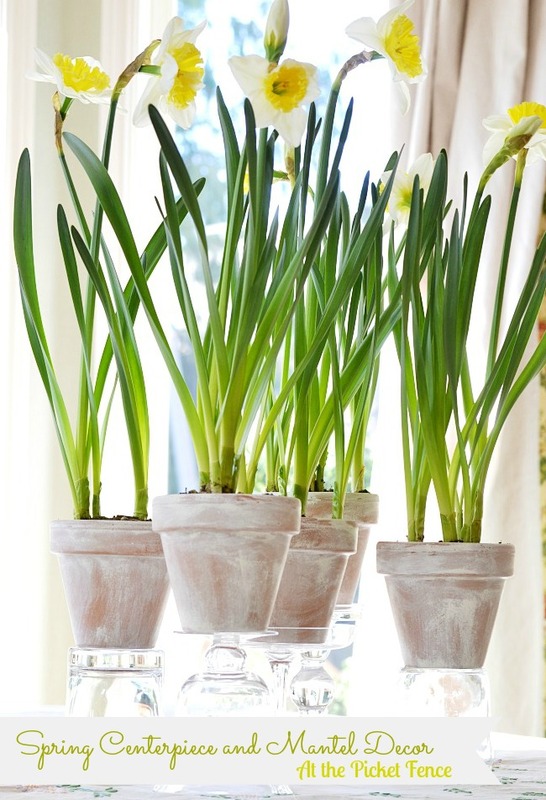 What a great centerpiece for a Spring table. 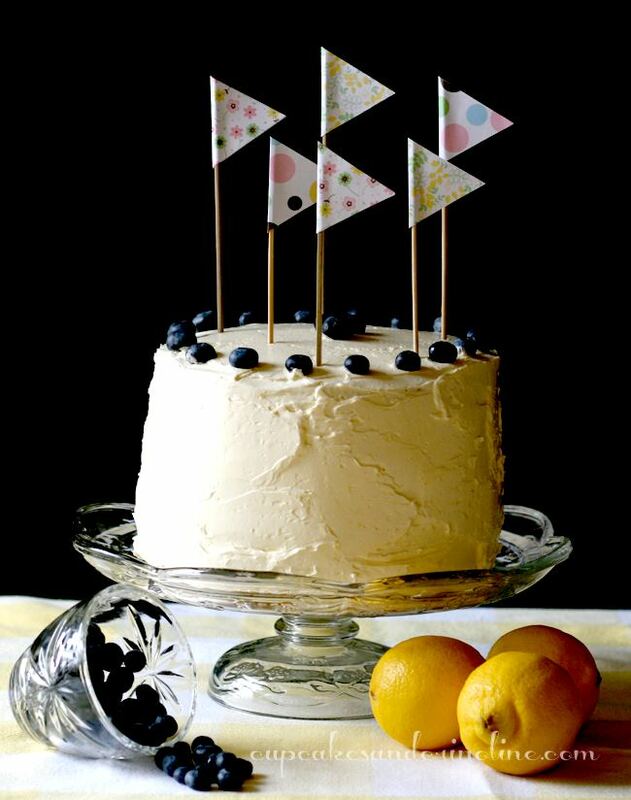 Mary Beth, of Cupcakes and Crinolines created this beautiful Lemon and Blueberry Butter Cake! 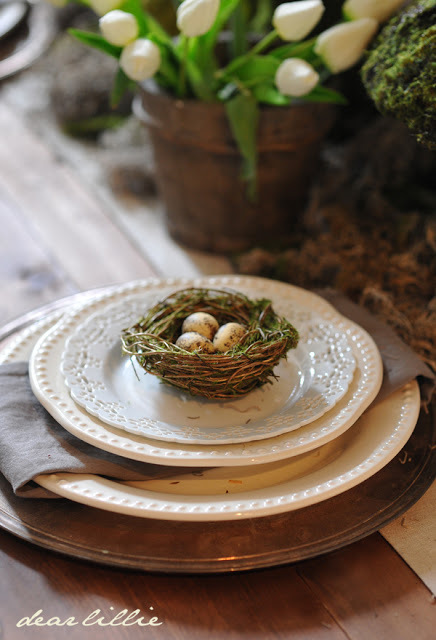 Jennifer, of Dear Lillie, put together this incredible Spring Tablescape. Wait until you see the tulips! 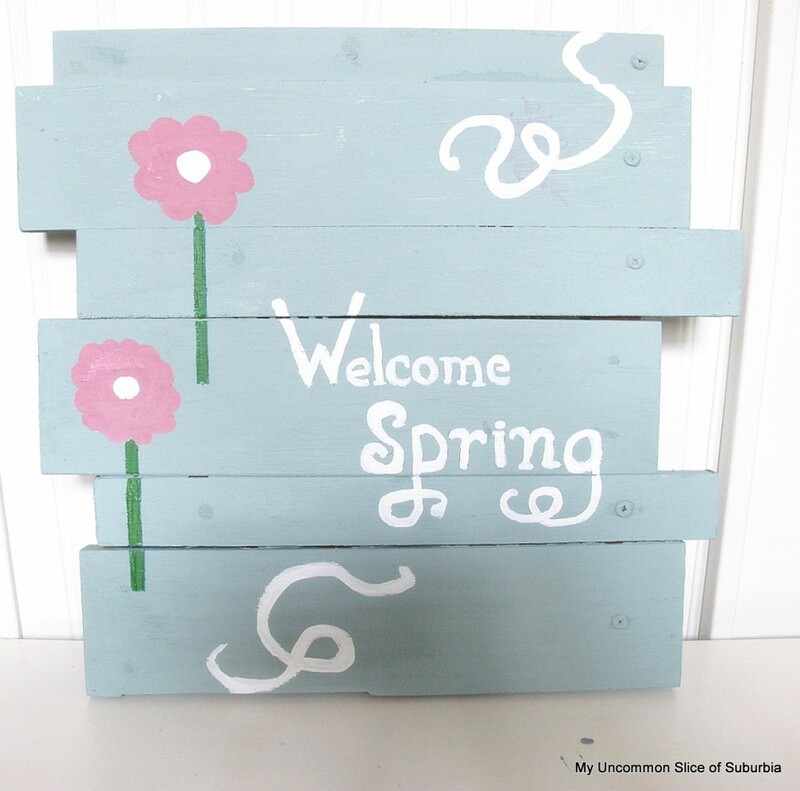 Kristin, of My Uncommon Slice of Suburbia, made a welcome Spring sign. 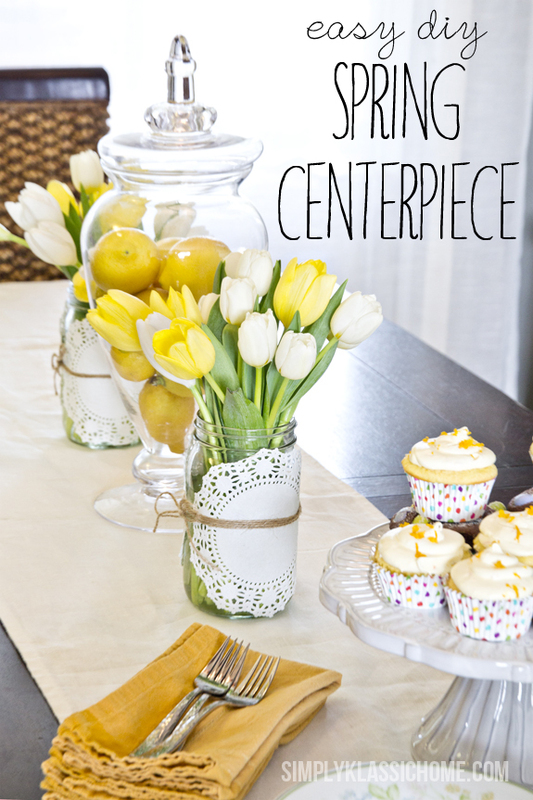 Kristin, of Simply Klassic Home, added color and whimsy with this Easy and Frugal Spring Centerpiece! 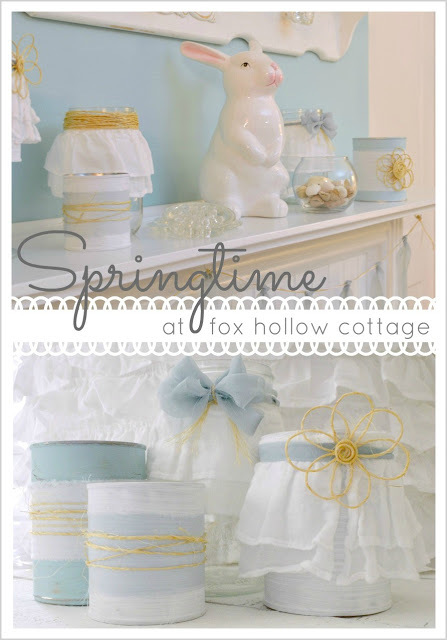 Shannon from Fox Hollow Cottage repurposed a pillow sham for this sweet Spring Mantel. 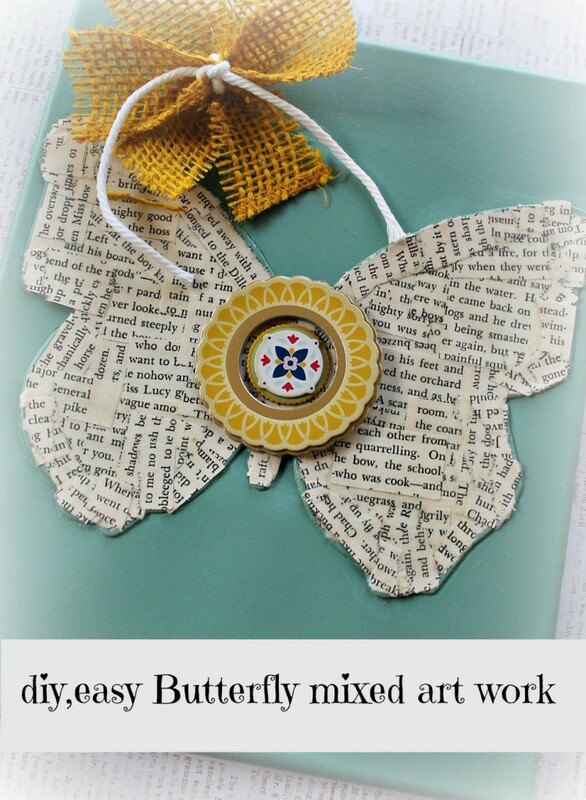 Debbie from Debbiedoos put together a round-up of 10 Fabulous Spring/Summer Crafts. 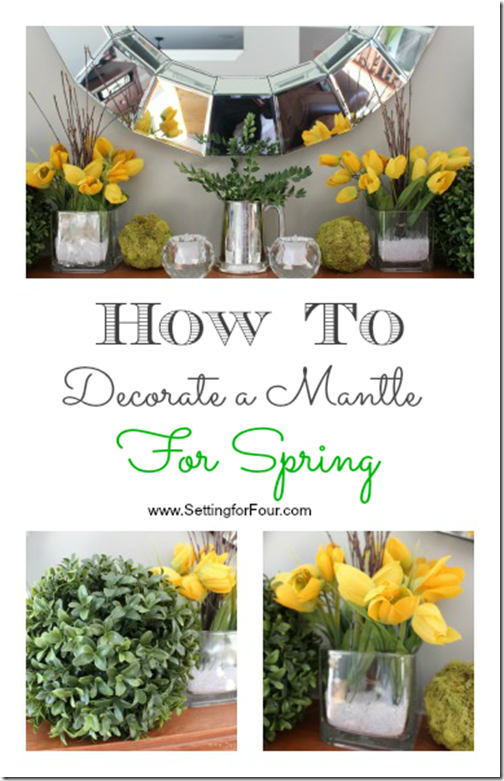 Heather from Setting for Four gave us some great ideas on How to Decorate a Mantel for Spring. 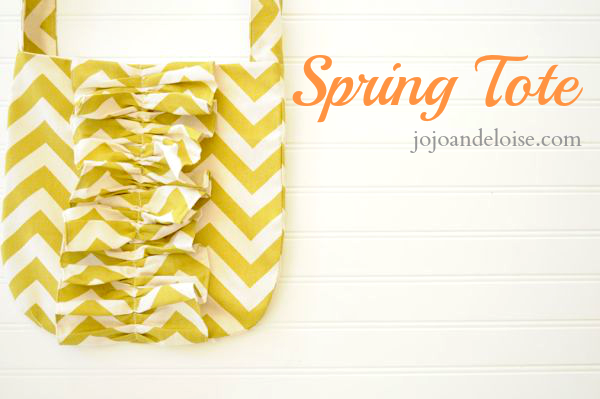 Angelina from JoJo & Eloise made a Spring Chevron Tote Bag and shared the tutorial! 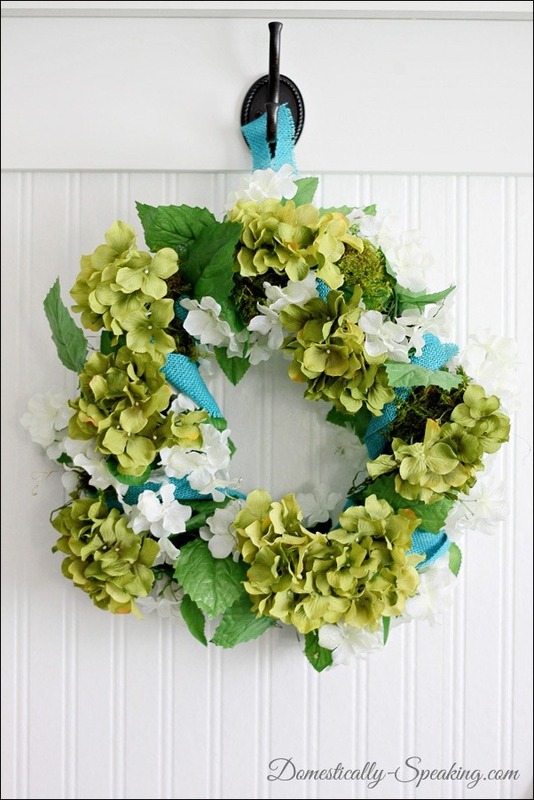 Maryann from Domestically Speaking made a Blue and Green Spring Wreath from hydrangeas and burlap. 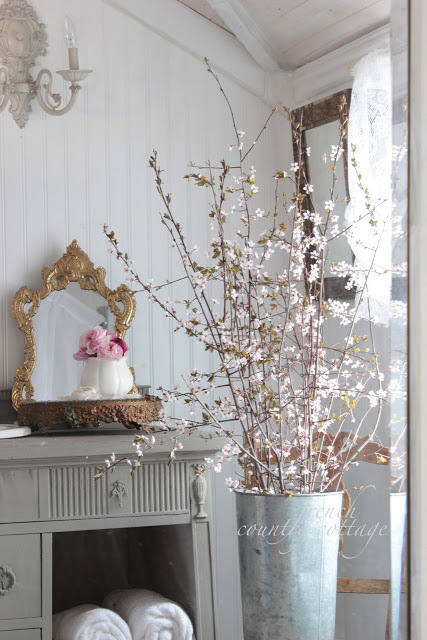 Courtney from French Country Cottage has the most incredible photography and inspired me with her classic Spring Blossoms. 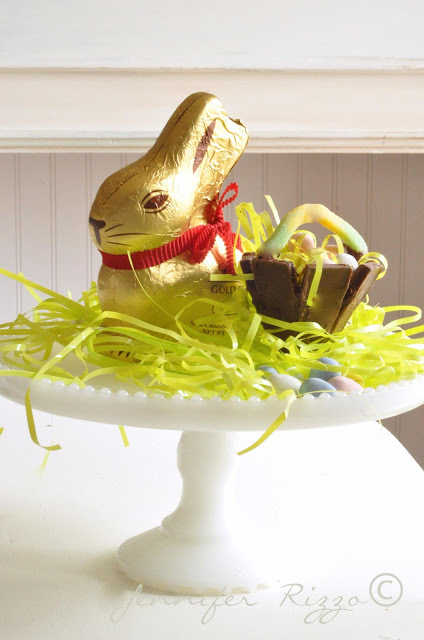 Jennifer Rizzo of the Jennifer Rizzo Blog (who I just spent the weekend with in Chicago) made this fun Easter rabbit with her kids. We all want to see YOUR Spring projects! When you link up your projects…..they show up on ALL 13 blogs! So let’s get started! I can’t wait to see all your fun projects! 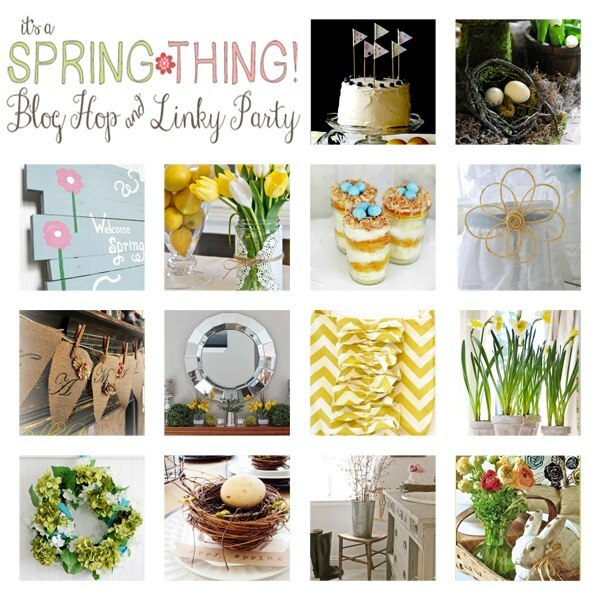 And thanks so much for joining the Spring Thing Blog Hop and Linky Party! PS Round Two is HERE!!!!!! And my project is up today! So f you have a second…..go over to the East Coast Creative Blog and vote for your favorite project (which I’m crossing my fingers is mine)! You won’t know which one is mine. And the bottom three go home. Now do you see why I’m nervous and telling you you’re amazing and shaking in my anonymous shoes. So here goes nothing…..just click here and vote. My bonus room is still full of Christmas things to put away...waiting for the "attic man" to re-organize the attic...Loved this Spring Thing Party!! Oh boy! I can't wait to see all the "spring inspired" treats!! Thanks so much for hosting ladies!! Looking forward to browsing through all the links!! I vote for your idea for leftover Christmas decorations. Us underachievers need support, too. Oh this is so fun! I'm so inspired to get creative. Thank you all so much for hosting such a fun party! Looking forward to browsing all the links! I could have joined you with the leftover Christmas decor - wreath on my front door ;) Party for two?! Heading over to vote - wonder if I'll be able to guess which one is yours this time? I just found a Santa flying above my laundy room door. He has to go to the attic. He can be greatful for his tropical vacation in my attic over the summer. Going to go vote. Thanks for the party! I voted too---good luck! My snowmen are still on display, although I took down my "Please snow,I'm a teacher" sign last week. But I hear a big storm is coming our way, so those snowmen will look right at home tomorrow. Love your site! Thanks for the lovely features and for hosting, & God bless! It was lovely to meet you at the Midwest Meet Up. I just voted in TCWS and looked for the "bigger than Pottery Barn" entry. I think I know which delightful project you did. Fingers crossed for you! Michele PS We'll be driving through Kentucky this weekend, so I'll be looking for treasures on the side of the road. Hooray! It was lovely to meet you at the Midwest Meet Up. I just voted in TCWS and looked for the "bigger than Pottery Barn" entry. I think I know which delightful project you did. Fingers crossed for you! Michele PS We'll be driving through Kentucky this weekend, so I'll be looking for treasures on the side of the road. Fingers crossed for me! Thanks for hosting such a cool party! I'm overwhelmed by all the incredible inspiration! KariAnne, this party is amazing! I'm so ready for spring now! Thanks for the inspiration and for hosting! Putting away my ornaments this week. I shoved them all in one big box and stashed them in a corner of my dining room. And talk about being popular....I was link 632. Girl, you got some friends. And I'm not waiting 3 days to link anymore.